You can either renew your existing visa in Canada to enable you revisit the country or extend your stay as a visitor on an existing visa. 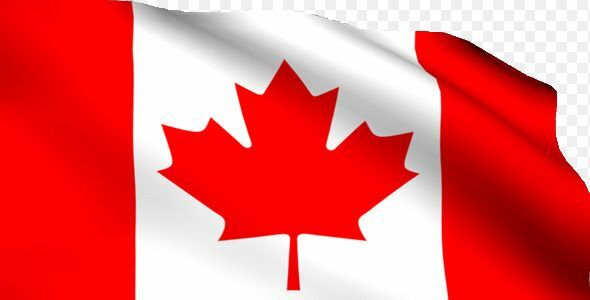 To renew your Canadian visa means that as a temporary resident in Canada, you wish to apply for a new temporary visa so that you can be able to return to Canada before you even leave the country while extending your stay gives you an opportunity to reside I Canada longer than was originally stated in your visa. You have been lawfully granted permission to enter Canada either as a student or worker. You are a temporary resident in Canada and your existing temporary resident status is legitimate. You must have a valid status. Under the circumstances, you have the need of a new temporary resident visa to revisit Canada in a future time. You hold a temporary visa on hand that is valid for single entry only. The process of applying for a temporary visa renewal can either be done online or on paper therefore you must decide which method you choose to use as both methods cannot be combined in one application. A functioning scanner or camera to help in capturing your documents as you will be required to make electronic copies of your documents for uploading. You must also have a functioning credit card for payment of your Canadian visa renewal application fees. It is also important for applicants applying online to provide an email address while applying and ensure that they check such regularly as the Citizenship and Immigration Canada (CIC) will usually send information on the application to such address. The CIC sends automated mails that are relevant to your visa renewal application and in the case where these messages are not found in your inbox, please ensure that you check your spam regularly and follow all instructions given. You can follow this link to determine your eligibility and apply for the renewal of your Canadian visa online. – Avoid having unfinished or blank forms: fill your application forms completely and correctly without leaving any blank spaces. – Avoid using irregular Signature: ensure you use a regular signature all through the application. Avoid changing signatures. – Applicants under the age of eighteen (18) are expected to have their parent or guardian sign the application forms. – Non refundable fees: Visa application fees for renewal are non refundable even in a situation where your application is rejected, do not expect a refund. – No guarantee of acceptance: getting a renewal of the temporary Canadian visa is not guaranteed. 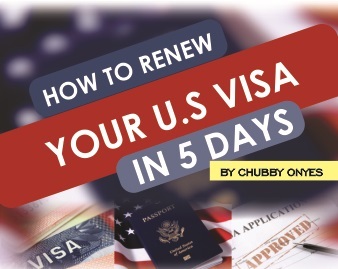 Sometimes visa renewals are not granted even when the applicant has all the required documents. – Submit all required documents: ensure that you attach and submit all required documents to avoid delay in processing and improve the chances of your application been accepted. After downloading and completely filling and signing your forms. The next step is to make payments for the visa application. The only form of payment acceptable for visa renewal application is online payment. The Case Processing Centre-Ottawa (CPC-O) in charge of visa application processing does not accept cheques, drafts, cash or money orders for payment. You must pay electronically through a designated financial institution in Canada. To find out information about how to pay your application fees online, please follow this link. After the payment is made, please make certain you obtain receipt and make copies of it for reference. Visit a Canadian Post retail outlet to obtain two prepaid express post national envelopes. These must be 24 by 32 cm. Pack all your application forms, attached documents and payment evidence into one of the envelopes neatly and then put this in the other envelope. Ensure you do this as the outer envelope will be used to send your passport as well as documents back to you. On the “deliver to” and “return address” field, clearly fill in your mailing address and the Case Processing Center, Ottawa post office box address respectively. You can find the post office box address of the Case Processing Center, Ottawa here. Make your payments as early as possible to avoid delay in the processing of your visa application. Usually, most online payments take a few days to be authenticated and the Case Processing Center, Ottawa will not commence processing of your application until payment is authenticated. Therefore ensure you make your payments as soon as possible. Do not wait until you leave Canada to renew your temporary visa (this may make the whole process difficult or near impossible). It is recommended that you make the application for visa renewal at least sixty (60) days before your scheduled period of leaving Canada. For applicants using the paper application, ensure you fill out the barcode form before printing to avoid delay in your visa processing. Filling the barcode form after printing takes a longer period to process and may delay your visa application. Application for temporary visa renewal is on a first come first serve basis therefore the processing of different individuals visa application will be different depending on the number of applications already on ground at the Case Processing Center, Ottawa. This section is for Nigerians interested in the option of extending their stay as a visitor in Canada. To extend ones stay in Canada, one must apply for an extension. The process of applying for an extension is somewhat similar to that of visa renewal. In order to successfully apply for an extension on a visa in Canada however, the applicant must apply before the current visa expires. In the case where the date of expiry is not known, ensure that you apply before six (6) months of your entry into Canada. The first step to take in applying for a visa extension in Canada is to determine your preferred method of application. The process of applying for an extension of visa in Canada can either be done online or on paper therefore you must decide which method you choose to use as both methods cannot be combined in one application. You must also have a functioning credit card for payment of your Canadian visa extension application fees. It is also important for applicants applying online to provide an email address while applying and ensure that they check such regularly as the Citizenship and Immigration Canada (CIC) will usually send information on the application to such address. The CIC sends automated mails that are relevant to your visa extension application and in the case where these messages are not found in your inbox, please ensure that you check your spam regularly and follow all instructions given. You can follow this link to apply for your Canadian visa extension online. – Detailed explanation for extension: you will be required to provide a detailed explanation of your reason for extending your Canadian visa. You must state clearly and convincingly why you want to extend your visit and for how long you wish to extend your stay in Canada. – No guarantee: getting an extension of the temporary Canadian visa is not guaranteed. Sometimes visa extensions are not granted even when the applicant has all the required documents. – Submit all required documents: ensure that you attach and submit all required documents to avoid delay in processing and improve the chances of your visa extension application been accepted. After downloading and completely filling and signing your forms. The next step is to make payments for the visa extension application. The payment can only be made using Canadian funds. To find out information about how to pay your Canadian visa extension application fees and the list of fees online, please follow this link. You can also learn about the acceptable modes of payment for your visa extension application in Canada by clicking here. After the payment is made, please make certain that you obtain payment receipt and make copies of it for reference. The payment receipt will be requested at some point during your application process therefore always keep it safe. Now after making necessary payments, you may submit your application documents and the receipts/proof of payments of all fees paid. Ensure that you sign and date your application forms properly before submission. You are expected to submit your application documents to the address provided in your application guide. You can track your application and find out how long it will take for your visa extension application in Canada to be processed by clicking on this link. You can also make complaints if your processing time is taking too long by clicking on here.